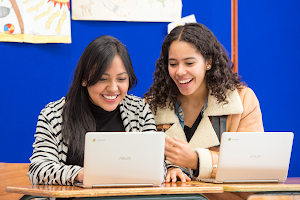 Google Code Jam 2016 is here, and we’re calling all coders from around the globe to put their skills to the test in multiple online rounds of intense, algorithmic puzzles. * The contest kicks off with the Online Qualification Round in just a few days on April 8 at 23:00 UTC, so register today! Back for its 13th year, the competition will be bigger and better than ever with the return and expansion of the Distributed Code Jam track, which we introduced in 2015 to allow coders to solve problems in a distributed environment. 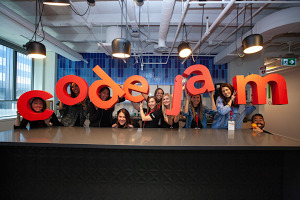 Finalists will compete for the titles of both Code Jam and Distributed Code Jam Champion at the World Finals held at Google New York on August 5-6 (see the full schedule here). We’re looking for all programmers - from returning champions to first-time competitors - who want to take a stab at practicing their programming skills in the contest arena to solve some of the most challenging problems out there. For those needing an introduction to Google Code Jam or simply a refresher, review the Quick-Start Guide, try your hand at past problems, and check out our new Tutorials section for an in-depth look into solving puzzles. In case you need further convincing, registering for Code Jam gives you the chance to win grand prizes of $15,000 (Code Jam) or $5,000 (Distributed Code Jam), the esteemed World Champion titles, and/or a limited edition Code Jam T-shirt if you’re in the top-scoring 1000 contestants from Code Jam Round 2 or the top-scoring 500 contestants from Distributed Code Jam Round 1. Take a peek at the 2016 T-shirt design, which creatively depicts our World Finals location using 27 lines of code in 25 different languages written by 26 different 2015 Code Jammers. To better understand the magic of Google Code Jam, watch highlights from last year’s World Finals in Seattle, or tune into the entire live streamed event. For more updates and to keep in touch, join our G+ community or follow along with us on Twitter. We hope to see you in contest arena during the Online Qualification Round. Are you up for the challenge? Register today at g.co/codejam. P.S. 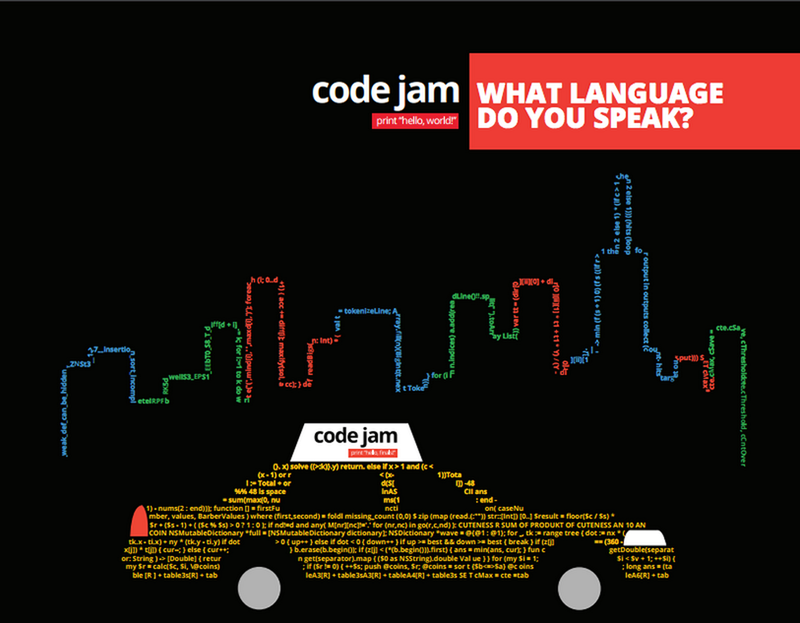 Don’t forget to share the Code Jam 2016 flyer with your friends, classmates and communities! *Per the Terms and Conditions, you may participate in the Contest only if you are 13 years of age or older at the time of registration, but you must be 18 years of age or older at the time of registration to be eligible for the onsite final round; if not, you are only eligible to win a t-shirt.